Tallahassee, Florida is the capital of Florida and home to Florida A&M University and Florida State University. Typically regarded as a college town, the city has a population of more than 70,000 students, and often, college students live in Tallahassee and love the lifestyle so much, they decide to make it their permanent home. The draw of Tallahassee is easy to understand. With gorgeous hilly terrain, the incredible Wakulla Springs and Lake Talquin, there’s plenty to love about the outdoors. And of course, with historic oak trees, plantation homes, and a warm, inviting climate, Tallahassee has no shortage of Southern charm. Home sales are on the rise in Tallahassee, both in price and in frequency. The draw of this beautiful Florida college town has led to moderate growth, and now is a great time to relocate or invest in Tallahassee. If you’re interested in making a real estate move in the city, you’ll need a qualified Realtor. That’s why we’ve found the 15 best real estate professionals that Tallahassee has to offer. These leaders of local real estate are beloved by their clients, highly knowledgeable, and excellent at what they do best: real estate. While any one of these Tallahassee real estate professionals would be highly qualified to support you in your next real estate transaction, we want to know who is the best. That’s why we’ve included a poll at the end of this article, and encourage you to vote for the individual who you think is the absolute best real estate professional in Tallahassee, Florida. But don’t wait to vote: the poll will only be open for the next 30 days! A founder of Hill Spooner & Elliott, Hettie Spooner is one of the most successful and driven agents in the Tallahassee area. Her team offers more than 40 years of combined experience with top notch knowledge, strong business skills, and attention to detail that makes every real estate transaction work smoothly. Spooner specializes in services for homes in Tallahassee’s $300,000+ market, particularly coastal properties, luxury estates, and executive and waterfront homes. She is recognized nationally as one of the most highly qualified agents, possessing a Certified Residential Specialist designation. Her background in finance makes her particularly helpful for clients who need advice for investments and other financial options including lending and loan processing. Plus, Spooner makes it her business to ensure that every client has a painless, enjoyable experience in Tallahassee rel estate. She serves on the Tallahassee Board of Realtors and is a member of the Women’s Council of Realtors. Spooner has a long list of repeat and referral clients, and it’s no wonder why: clients say she is incredibly knowledgeable and pleasant to work with. They love her professionalism, great communication, and feel comfortable trusting her to take care of important decisions with care. Owner and broker of Amac Real Estate Company, Nathan Newell is an experienced real estate professional with more than 14 years in Florida real estate. He grew up in Tallahassee, and loves to share his knowledge and passion for the area with clients and the community. Newell is excited to serve the Tallahassee real estate market for clients who are buying or selling a home, or relocating to the Tallahassee area. Newell’s clients say he is the perfect mix of laid back and attentive, with a flexible style but a great willingness to always be available and helpful. He is able to work on tight timing, plus he is knowledgeable, educated, and truly cares about his clients. 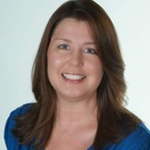 Sarah Eden is a highly committed real estate professional in Tallahassee. She is proud to make a full time commitment to her clients, offering extensive knowledge of local neighborhoods, schools, market conditions, and more. Plus, Eden takes full advantage of technology to offer great online resources to clients as well as timely email alerts. Of course, she also takes pride in offering personal service to her clients. They say that she is excellent at responding quickly to requests, and Eden and her team make every real estate transaction easy, even for first time home buyers. Clients appreciate her consulting so much that they feel like she’s read their minds—and they especially love how strongly she advocates for the best interest of her clients. Debbie Kirkland is a leader in Tallahassee real estate. She is the broker of First Story Real Estate Company, and has held a number of awards, leadership positions, and designations to denote her excellence in Tallahassee real estate. Kirkland is a former president of the Tallahassee Board of Realtors, and served as the District 8 vice president of Florida Realtors in 2014. Her designations include Certified Residential Specialist, Short Sales and Foreclosure Resource, and Seniors Real Estate Specialist. But perhaps her most important designation is her status as an enthusiastic Tallahassee native. She lives to share her excitement for living and working in Tallahassee and works hard to make sure her clients benefit from her knowledge and expertise. Clients love that Kirkland is a tech savvy Realtor with the ability to communicate quickly with texting, email, Facebook, and other forms of contact, as well as using modern search and marketing methods in her work as a Realtor. They say she is a highly skilled negotiator and an all around great Realtor! A fourth generation Realtor, Terry Kant has long felt the pull of the real estate business. She’s so committed to real estate that she considers herself a “house yenta,” tasked with the responsibility of matchmaking buyers with houses, and sellers with buyers for their homes. As a downtown Tallahassee resident for nearly 25 years, her knowledge of the area and the real estate market is tough to beat. Plus, she was in the top 10 percent for residential sales volume in Tallahassee in both 2011 and 2013. Kant holds excellent designations, including Certified Residential Specialist, At Home with Diversity, and Leadership Academy. When she’s not mastering Tallahassee real estate, Kant gives back to the community by serving on boards and founding nonprofits including Big Bend Cares and Refuge House. Kant Realty is currently a sponsor of Habitat for Humanity Build. Her clients say she is an excellent Realtor who knows the local area well and can offer valuable advice as a great counselor. They appreciate her listening skills, knowledge, and the way she treats clients as friends. As owner and broker of 850 Realty, Nathan Cross shares his passion for home sales in Tallahassee. 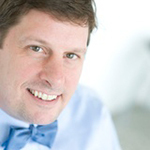 He is an incredibly positive Realtor who believes in win-win negotiating with a knack for creating outcomes that are great for buyer and seller like—and he’s been doing it for more than eight years now. Cross specializes in the SouthWood community, as well as new construction and custom homes in the Tallahassee area. His clients say he does a masterful job, with the ability to find the right homes even for picky clients. He’s responsive, a great listener, and a sharp, detail-oriented closer that gets the job done and makes everyone involved happy! 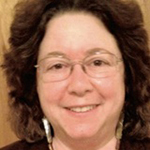 Joan Raley brings a wealth of experience in real estate with a history that dates back to 1978. And in addition to her experience, she offers incredible credentials, including upper level certifications, designations, and memberships including Certified Residential Specialist, membership in the Tallahassee Board of Realtors, and membership in the Women’s Council of Realtors. While Raley is always excited to assist buyers and sellers in the area, she is especially interested in helping clients relocate to Tallahassee, as well as investment properties with property management services. She currently manages more than 50 properties in the Tallahassee area. Raley is honored to be in the top 10% of producing Realtors for 2014. Her experience and commitment to excellent customer service shows in her client testimonials. Clients say she is knowledgeable and patient, and skilled even when working through difficult or demanding situations. Plus, she’s great at keeping everyone on track with her excellent knowledge of the real estate market as well as her top notch organization skills. 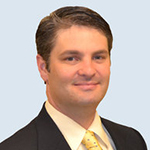 Founder, developer, and broker of the Naumann Group, Jason Naumann is an experienced, passionate Tallahassee real estate agent. He has lived in Florida all his life, and in Tallahassee since 1993. Real estate has been a nearly lifelong commitment for Naumann, as he began selling homes in his sophomore year of college at Florida State University. He founded Naumann Group in 2001, and has since grown the group to encompass three offices serving more than five counties in the Tallahassee area. The Naumann Group has been so successful that they were voted the best real estate group in Tallahassee, and have been featured on HGTV, Southern Living, and Tallahassee Magazine. Clients appreciate that Naumann and his team are a pleasure to work with, and love that he is able to offer expert guidance and counseling. They say his desire to please his clients is relentless—a great quality for any Realtor! Owner and broker of Florida Big Bend Realty and Joi’s House Hunters Realty, Joi Hope has more than 35 years of experience as a Realtor, and more than three decades in the Florida real estate market. She specializes in Wakulla, Leon, and Franklin counties. Hope’s clients range from buyers of elite homes in Leon and Franklin counties to multimillion dollar cattle ranches and beach front homes, as well as mobile homes and home owners facing short sales or foreclosure. She is committed to working out the best options for every client’s future, and has the knowledge to help every home owner, buyer, or seller make an informed decision. Hope’s clients say she is the best in town and able to come through even in difficult circumstances with a positive, reassuring demeanor. She’s great at staying on top of every detail with a caring, guiding hand for every real estate transaction. An experienced broker with more than 25 years of experience, Bert Pope is one of the most well known real estate professionals in Tallahassee. He has been featured on national Fox news multiple times, as well as local NBC TV40. Additionally, Pope has had multi-million dollar luxury property highlighted in USA Today. Pope’s specialization is in small plantations and luxury homes in Florida’s panhandle, and he is fanatical about offering home sellers in particular a high level exposure in the market. Services include online marketing, custom home websites, email blasts, and instant information availability for buyers. Pope prides himself on being highly educated on community market trends and works to hold his status as one of the most qualified real estate professionals in the Tallahassee area. His clients say he offers excellent service with professionalism, incredible knowledge, and helpful, common sense solutions to every problem. They genuinely appreciate Pope’s positive attitude and prompt availability as well. A long time resident of Tallahassee, Lisa Montgomery-Calvert has real estate in her blood. After graduating Florida State University in 1993, Montgomery-Calvert joined her family’s real estate business, Montgomery Realty. Now more than 22 years later, she has developed her own record of excellence with happy clients and a consistent streak as one of Tallahassee Top Producing Agents. It’s her mission to making the dreams of her clients a reality with excellent personal service and professionalism. She’s always happy to go the extra mile for clients, and it shows. Her clients rave about how easy and pleasant it is to work with her, and they say that they love to choose her as their Realtor time and time again. 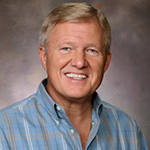 Dan McClellan is the owner and founder of McClellan Realty, and boasts more than 34 years of experience in Tallahassee real estate. 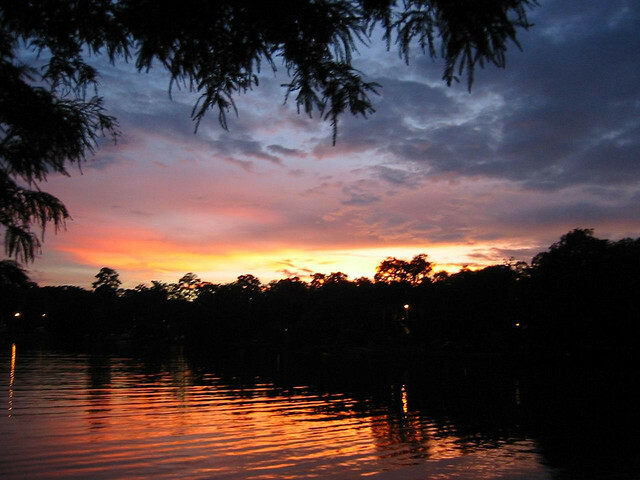 With such extensive experience, McClennan is proud to be an aficionado of Tallahassee real estate. He is committed to offering specialized service to homeowners in Tallahassee, delivering above and beyond service as a standard practice. 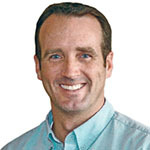 McClellan’s specialties include new construction home sales and development in Tallahassee. As a pillar of the community, McClellan is committed to giving back, and has proven that commitment by donating up to $400 of every commission to the charity of his clients’ choice. Clients appreciate his willingness to give back, but really appreciate how helpful and responsive he is with their real estate transactions — even complicated ones. They say that they can trust him to manage the details and make their buying and selling needs work smoothly. 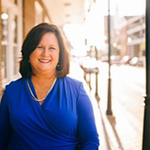 Suzanne McGhee is a resident of the Lake Talquin area, and she is passionate about sharing her community and the greater Tallahassee area with others. McGhee works diligently to offer excellent customer service while serving a wide variety of real estate needs for buyers, sellers, and other interested parties in Tallahassee real estate. 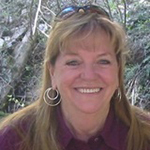 She specializes in lake property, and can offer a wealth of knowledge about life on Lake Talquin. McGhee’s clients love that she is dependable and attentive, and always ready to handle their needs professionally and promptly. Plus, she offers an excellent network of professionals for home buyers and sellers including contractors and financial resources that is incredibly valuable. 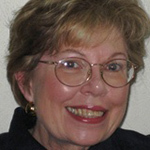 Ann Fisher is a highly experienced Tallahassee real estate professional with more than 36 years of experience. 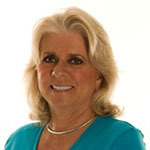 She has been broker and owner of Ann Fisher Realty since 1997 and a licensed Florida Realtor since 1979. 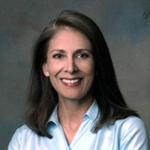 Fisher is noted for her excellence in Tallahassee real estate and nationwide. Locally, she is a top producer in the top 1% of Realtors in Tallahassee per the Board of Realtors. 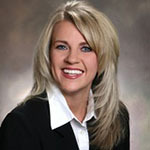 Nationally, she is in the top 4% of Realtors nationwide with the Certified Residential Specialist. Fisher is a member of the National Association of Realtors, the Florida Association of Realtors, and the Tallahassee Board of Realtors. 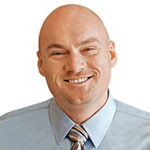 Clients say Fisher is a knowledgeable, patient, and hard working Realtor who is willing to go the extra mile for them. But perhaps most importantly, she looks out for their interests, showing she cares by treating clients like friends. 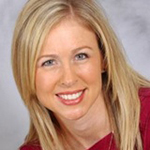 Florida native Kristi Hill is passionate about Tallahassee and loves to share the lifestyle that the area offers with her clients. As a Realtor for more than 13 years, she’s made it her mission to help others find the perfect home in Tallahassee—and when they’re ready, move on to a new perfect home. She is always on call for her clients, and loves to answer questions about the market, home sales, and real estate investment. As a knowledgeable Realtor, she works diligently to stay on top of the latest information and trends in real estate, and has earned the designation of Graduate Realtor Institute. She is currently working on the Certified Residential Specialist designation. Clients say she goes the extra mile in every way, and is perfect at identifying opportunities and needs — she will even fight to make sure important details go along smoothly. Bottom line, she makes every client feel like they’re her top priority by delivering excellent personal service.